Aaron Hall has never been able to remain faithful to a single woman, and for most of his life, he's dated two women at once. Recently his girlfriend tracked him down and knocked on his door - and his live-in girlfriend answered. Now he has no girlfriend and a mortgage he can't pay by himself. Vinnie Rosello needs to change his life - get a better job, stop drinking all his money away, find himself a serious boyfriend...and move out of his parents' house. Aaron needs help with his expenses, so they become housemates. Even though Aaron harbors some misconceptions about gay men and Vinnie misses his large Italian family, both men find comfort in their friendship. It's a good arrangement until everything between them changes. Vinnie falls in love with Aaron, and Aaron is shocked to realize he feels the same. There's only one problem - he's still straight. He'll have to overcome his fear of labels in order to love the man who's captured his heart. Warning there are possible spoilers in this review. This book made me uncomfortable. Let me begin by saying I love m/m romances. They are by far my favorite genre and at least half of what I read is m/m stories. I also enjoy the GFY theme. That being said I was uncomfortable during this entire book. Til the very very end, Aaron keeps telling Vinnie that he is straight, that he's not gay. This is reiterated over and over many many times throughout the course of the story. Aaron is not gay, he likes and dates girls. Yet Vinnie decides he is in love with his straight roommate Aaron and passive/aggressively manipulates the situation over and over to herd Aaron into intimate situations. He gradually breaks down Aarons protests and defenses, creating increasingly intimate encounters. I don't like giving poor reviews, but this whole story had me thinking less romance and more relentless sexual harassment with a stockholm syndrome ending. IE...&amp;quot;no, no this is not what I want....no wait....oh yes I think I do love you&amp;quot; There was also no mention of possible bisexuality as a rational for the romance which could have put a completely different spin on the attraction and making the story much more believeable. 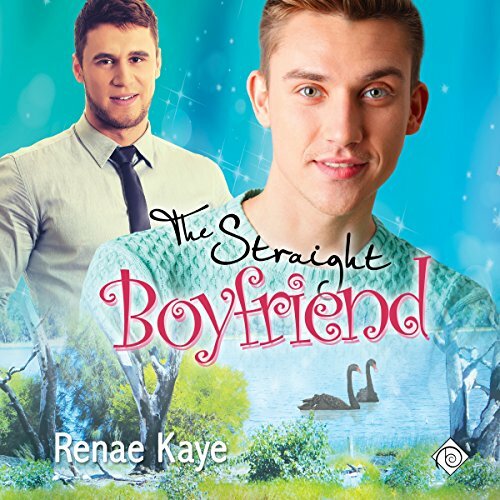 I have read most of Renae Kayes books, love her style and love the splendid assortment of oddball quirky, loveable characters she creates within the LGBT genre. Her western Australia settings are great fun. But this books overall character development overshadowed the setting and also the fun of revisiting the guys from previous novels. The narrator Joel Leslie was superb as always, he's a terrific speaker. Joel Leslie does a great job with the character voices (and, oh! how I love his Jamie and Vinnie voices! ), pacing and timing. 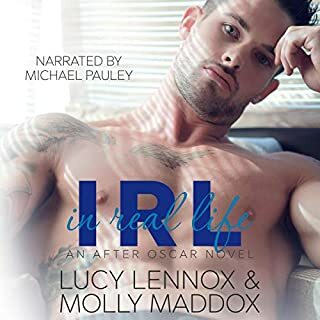 I picked up the audio because I genuinely enjoy Joel Leslie, particularly his Australian accents, so even though when I had read the story I had been frustrated I thought maybe listening would have a different impact. If anything the narration brings the bi-erasure that drove me crazy even more starkly to notice. 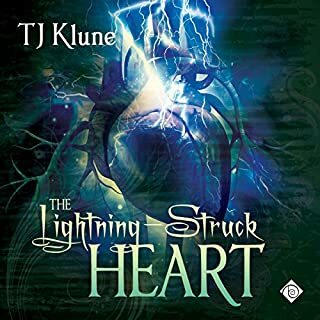 So while I can be objective and say the narration was wonderful, as expected, the story itself was almost more maddening to me via audio than reading. There was an opportunity here to be inclusive. To give voice to a very marginalized, often persecuted, group...and it wasn't taken. Not only wasn't it taken, but I felt like the story took every opportunity to shut bisexuality down as hard as it possibly could be at every mention. And that's disheartening. If you can completely ignore the bi-erasure there's a lot of warmth and love in this book. The friendship between Liam and Aaron is very sweet, the interactions between Vinnie and Aaron are, for the most part, lovely, and it's a fun, cute read with likable characters, low angst, lots of sweetness, and a wonderful HEA. Cute storyline. I love gay for you books 😉. Joel once again does a great job with the narrating! Love wins in this sweet story! 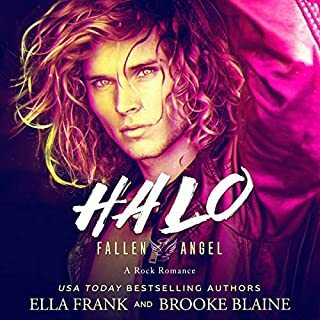 A great story with a natural but surprisingly progression from friendship to a deep loving connection. Follow the characters deal with the hurdles that need to be faced when the unexpected occurs!